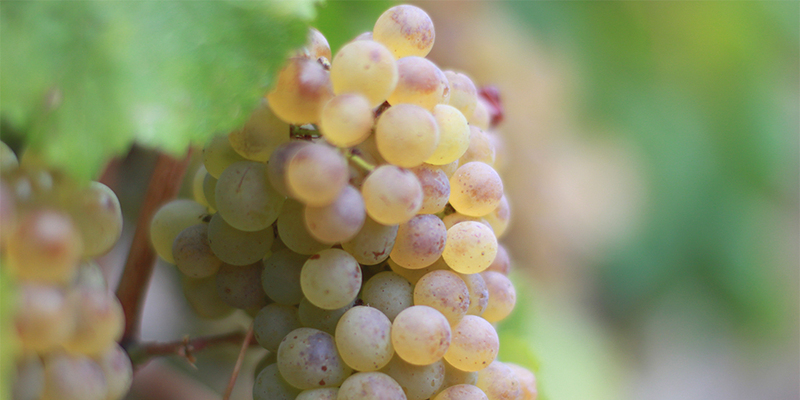 Schramsberg Vineyards focuses on producing the finest and most complex handcrafted sparkling wines in California. Preserving century-old traditions, many of our viticultural and winemaking practices are still carried out by hand. 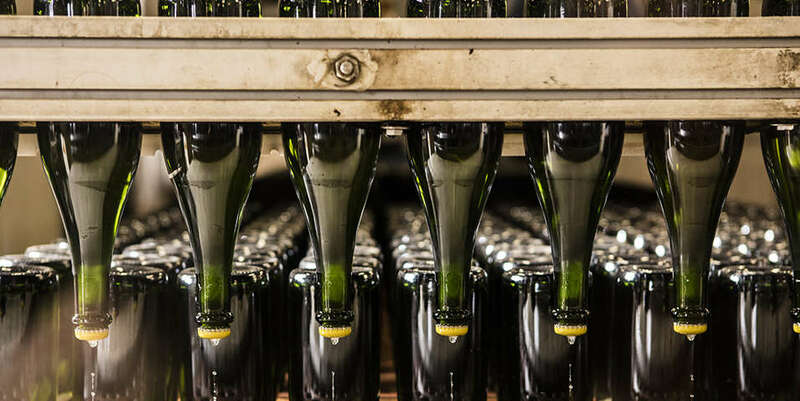 Our tête de cuvée sparkling wines receive an impressive seven to eight years of bottle aging prior to release, the balance receiving two or more years. All of our wines are enjoyable upon release, but can also be cellared for 20 years or more. Most of Schramsberg’s viticultural and winemaking practices are carried out by hand: grapes are hand harvested, the wines are handcrafted, the bottles are stacked and riddled by hand in our underground caves. The J. Schram, Schramsberg’s top Chardonnay offering, is even hand labeled. Unique among California sparkling wine houses, Schramsberg Vineyards ferments 25% of its juice in oak barrels to produce a richer, more luscious style. Schramsberg has also developed a library of reserve base wines that are barrel aged for up to 10 years. These wines provide additional refinement and complexity to the finished products. In its top two sparkling wines, the J. Schram and Schramsberg Reserve, 40 percent of the components are barrel-fermented. 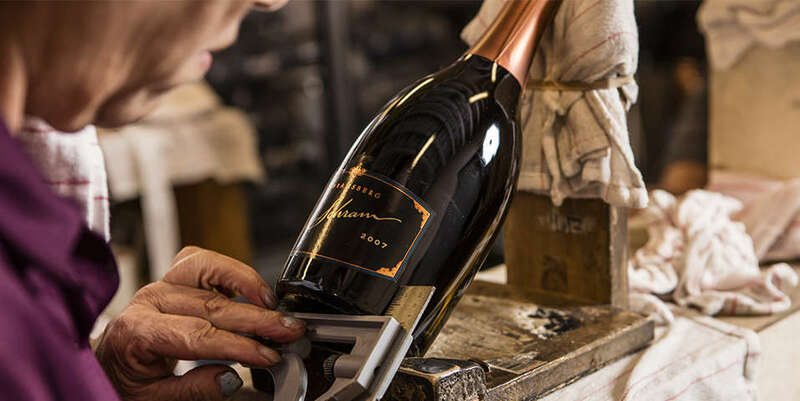 Méthode Traditionelle is the labor-intensive and costly process whereby wine undergoes a secondary fermentation inside the bottle, creating bubbles. This process is used after a base wine is made using steel tanks or oak barrels to perform a primary fermentation. All Champagne and most high-quality sparkling wines are made by this process. One might say that Hugh Davies was born with a wineglass in his hand, and that wouldn’t be too far from the truth. Hugh was born in 1965, the same year that his parents, Jack and Jamie Davies, purchased the abandoned Schramsberg Estate in Calistoga. Hugh grew up among the vines, caves, tanks and barrels that make Schramsberg Vineyards what it is today; the premier producer of American sparkling wines. 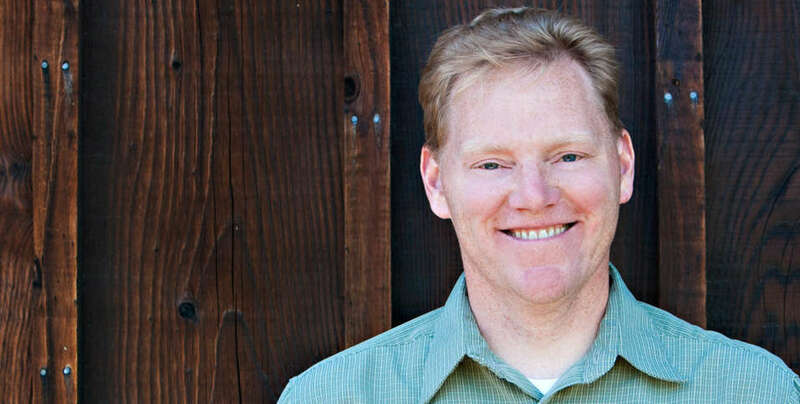 Growing up in the diverse agricultural region of Sonoma County, Sean Thompson acquired a deep interest in the cultivation and preparation of the bounty that comes from the soil. 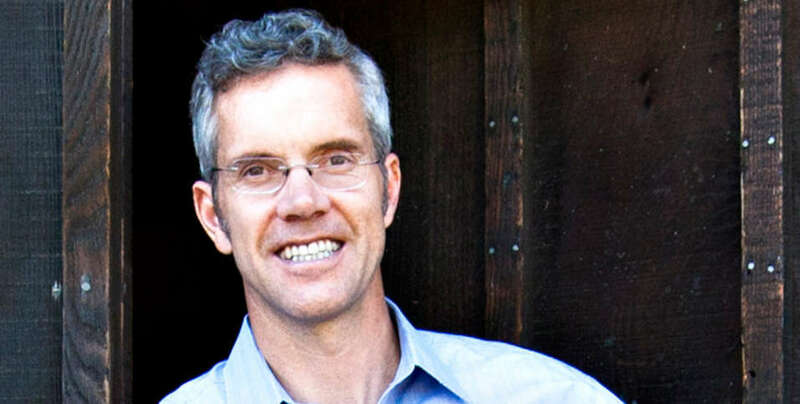 This interest to live his life with a focus on agriculture led him to his first round at the University of California, Davis, earning a Bachelor of Science degree in Chemistry in 1992, with “minors” in tractor maintenance and bus/truck driving.